The ocean is the perfect fit for any occasion! Our vessels offer a boutique experience where each vessel feels like your own. 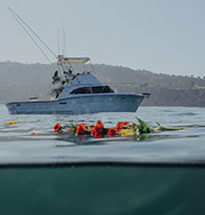 Pacific Ocean Charters is committed to honoring lives, providing peace, and ensuring loved ones find their perfect final resting place at sea. Experience the Pacific Ocean’s wildlife up close on a private Environmental Tour with friends, family, or business associates. The ocean is the perfect backdrop for all of your photo and film needs! Local photographers available. 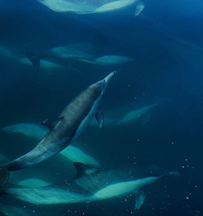 The ocean is our lifestyle, and we want to share it with you. Our family passion and love for the sea lives on through Pacific Ocean Charters, a marketing company who showcases the best charter boats along the California coast. Por Vida, meaning “For Life” in Spanish, conveys our promise to you. 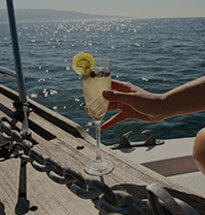 We are dedicated to you, and to ensuring you create memories on the ocean that you will cherish…. For Life. 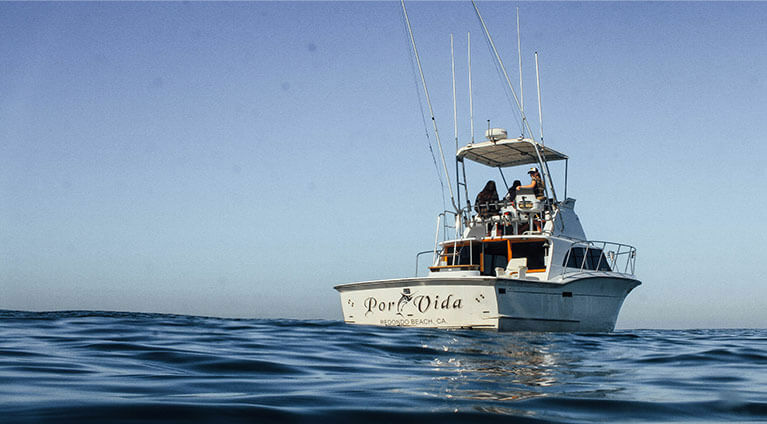 Growing up on the Por Vida instilled the desire to share the ocean with people who are seeking to experience it. We are committed to connecting people to boats with captains who share the same love and admiration for the ocean. From environmental tours, sunset cruises, photo shoots and memorials at sea, our boats offer a unique boutique experience. If you own a vessel and feel you would be a good fit for our fleet, please Contact Us!